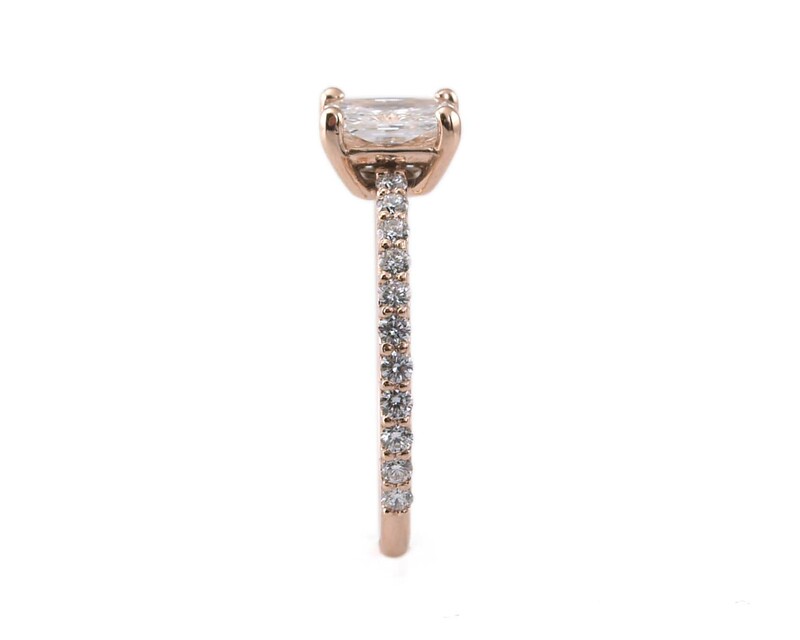 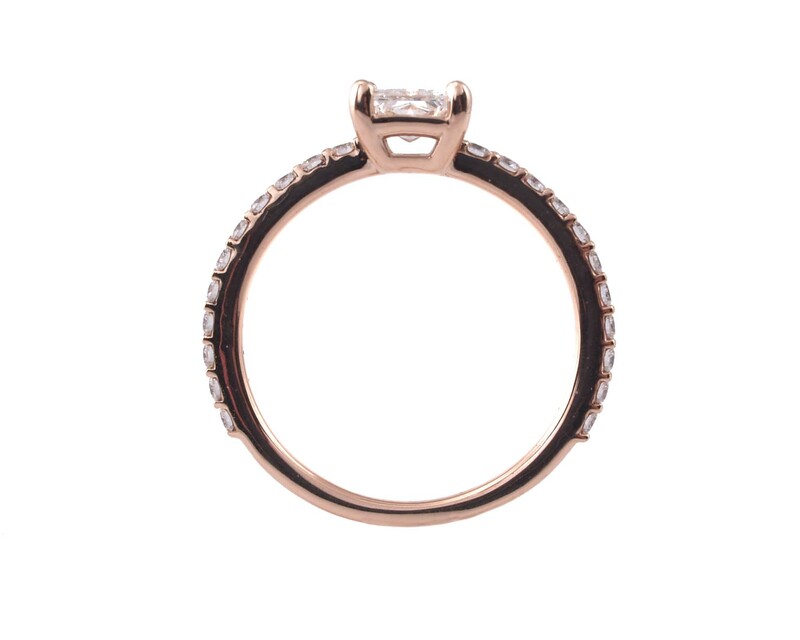 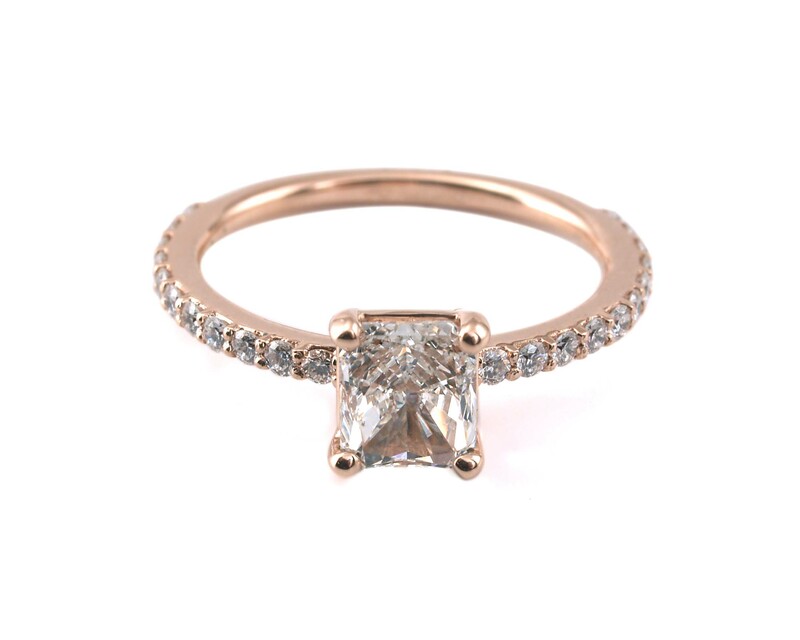 A lovely thin 2mm setting in rose gold with a 4 prong head set for an emerald cut, cushion or radiant cut diamond. 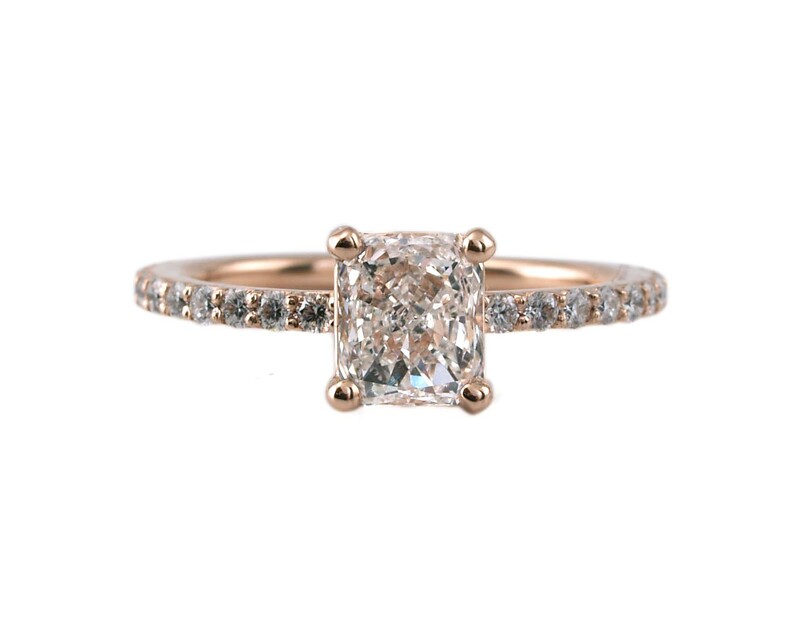 Side diamonds go 1/2 way down the shank for your ultimate comfort. 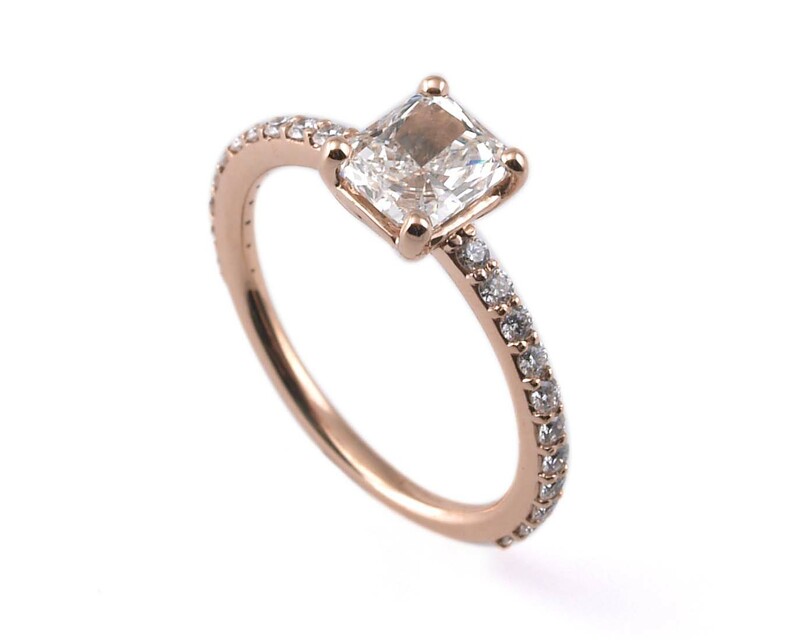 Please see your diamond choices on our Diamonds Page.